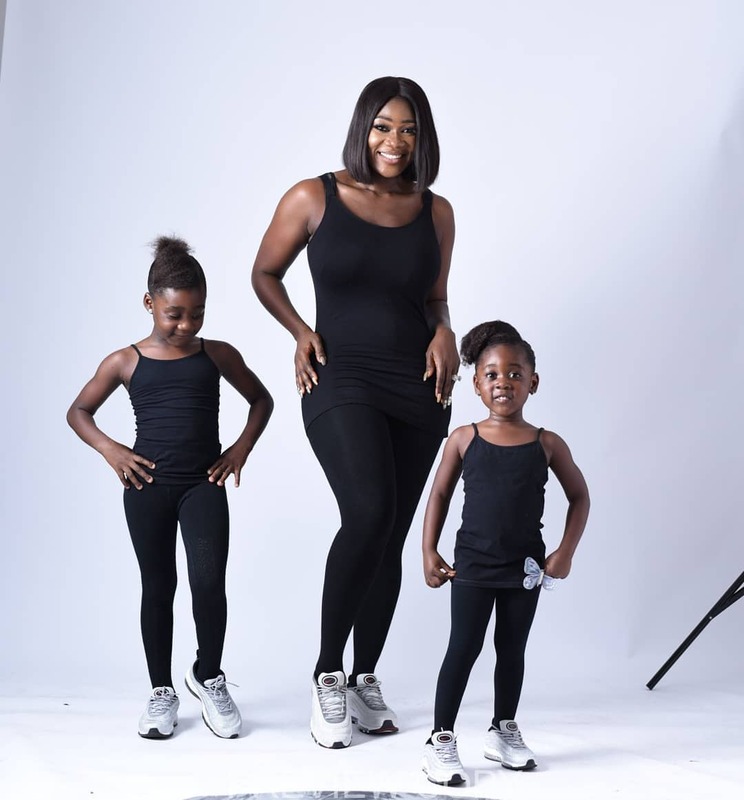 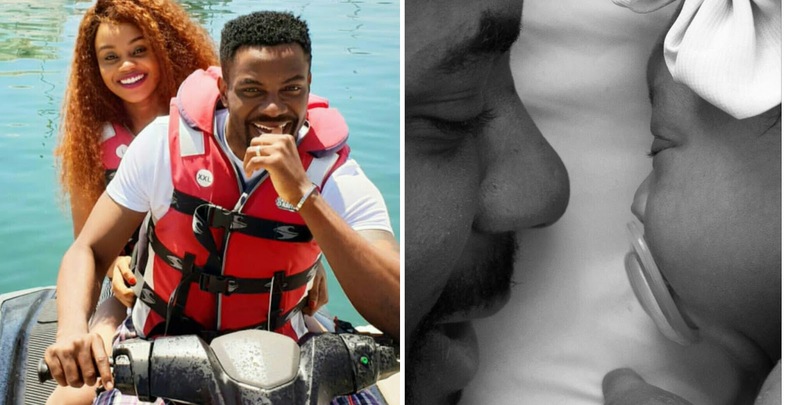 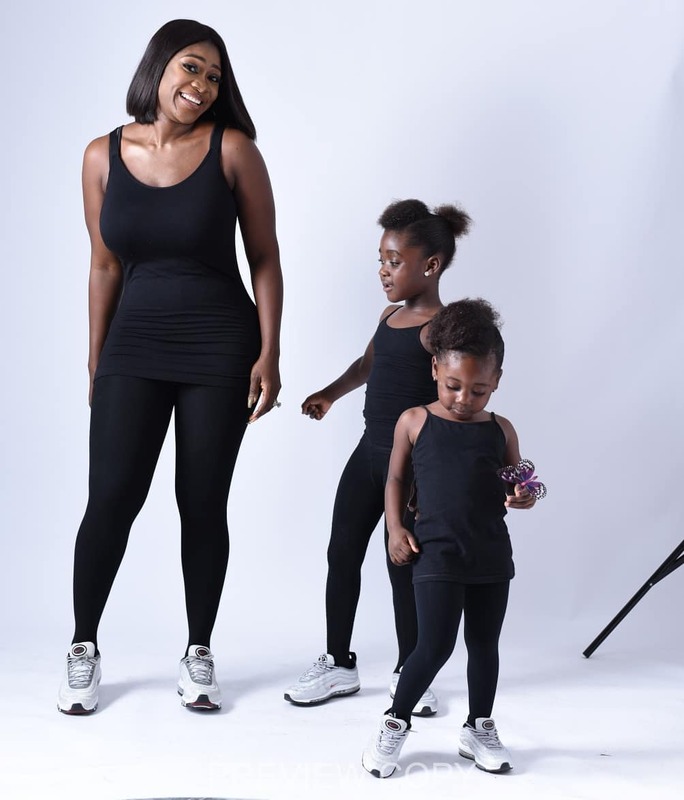 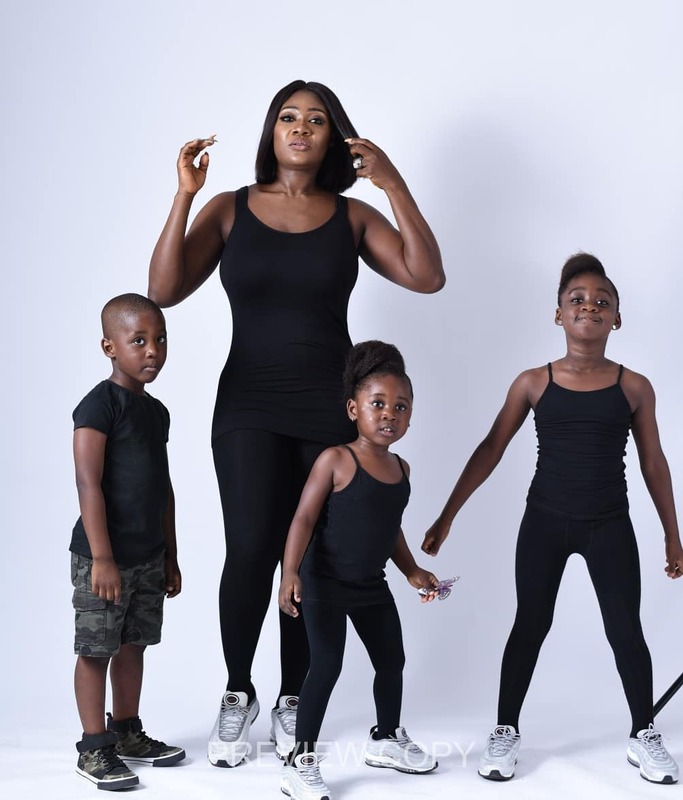 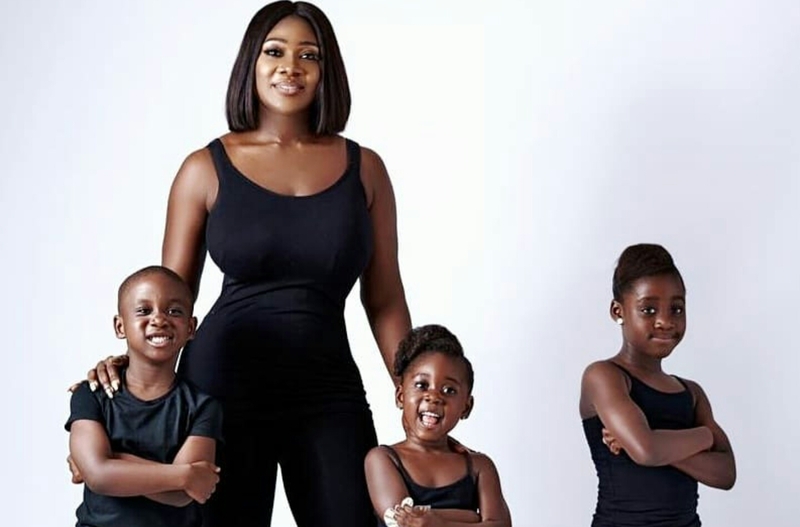 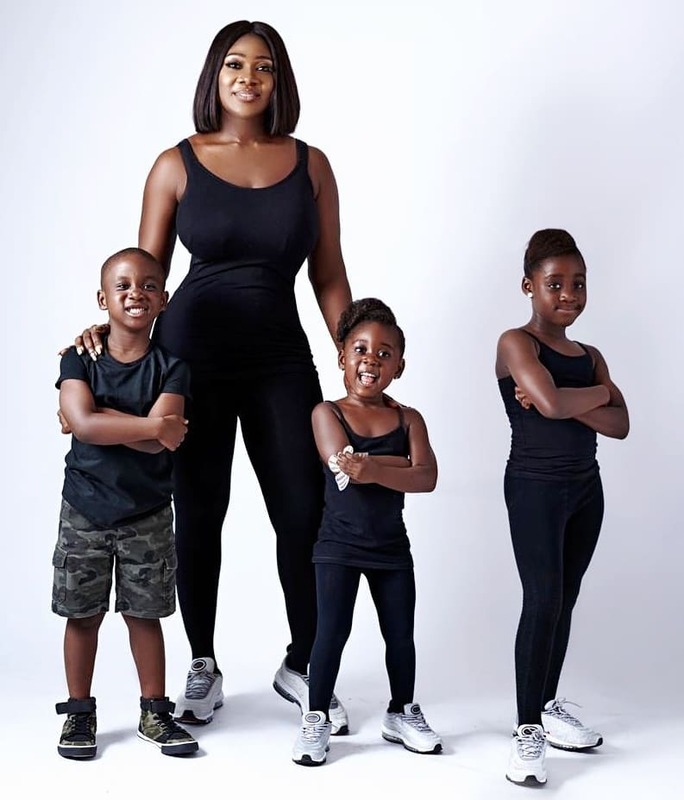 Nollywood actress Mercy Johnson started her day by sharing stunning new family photos ahead of the upcoming Mother's day celebration. 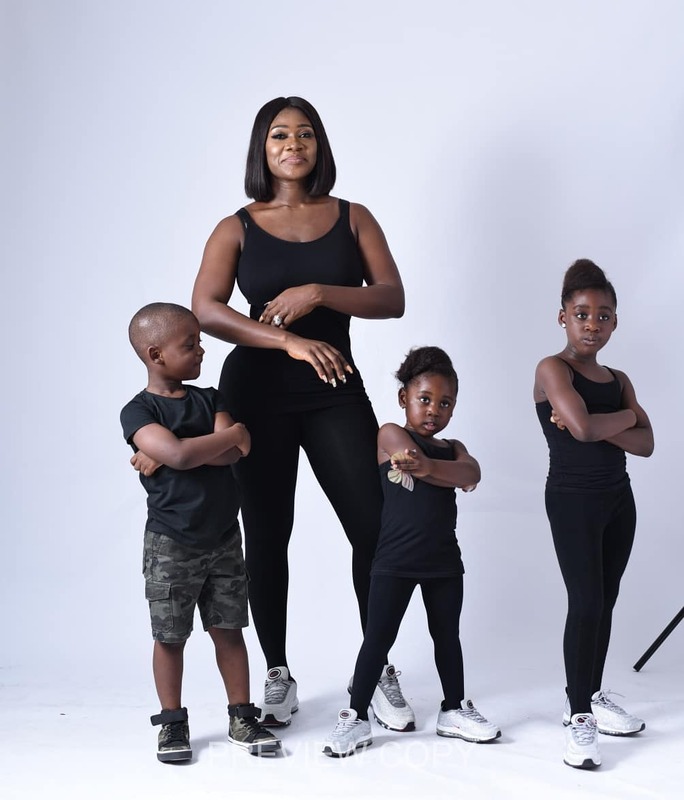 The photos featured her curvy self and three lovely kids all dressed in black cordinated outfits looking really happy. 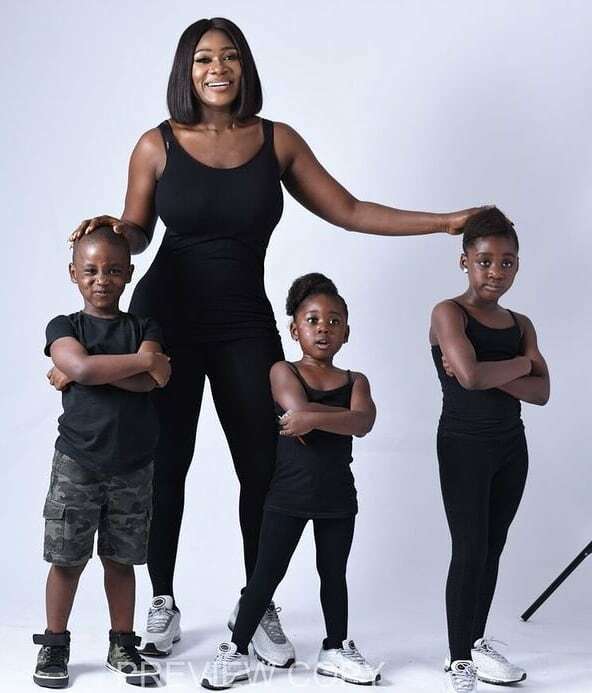 The proud mother disclosed that her biggest fear in life would be ' not being alive to take care and watch over her kids'.